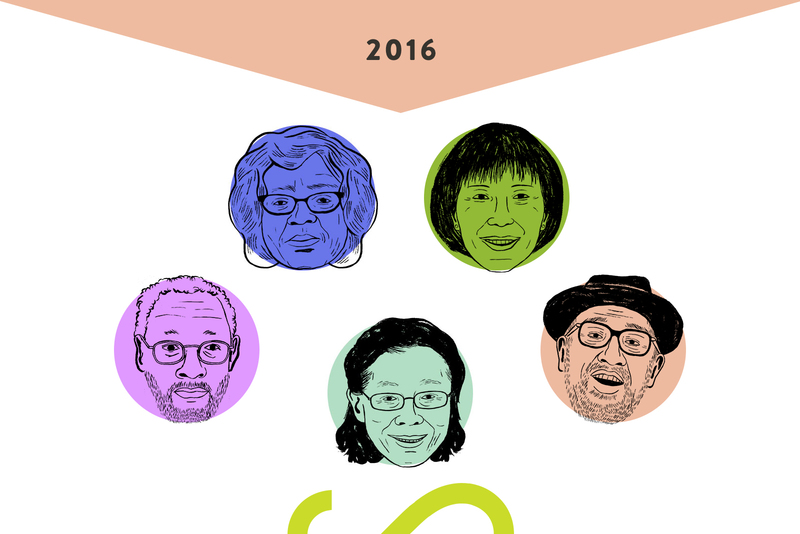 50 over 50 — Changing the stories we tell ourselves about aging. 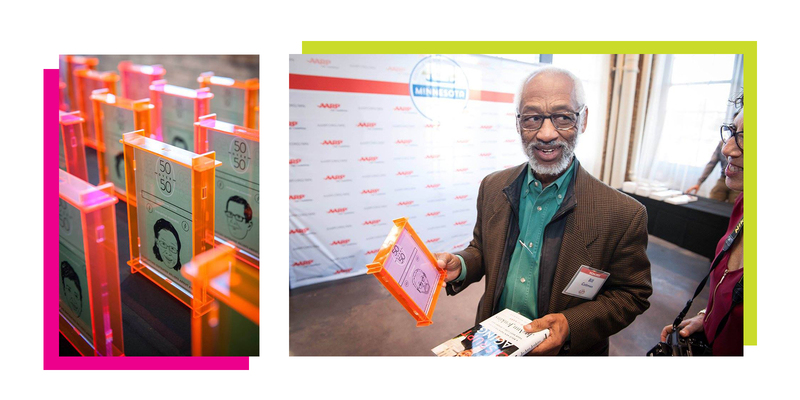 CLIENT GOAL: AARP Minnesota continually evolves the conversation about aging—emphasizing that possibilities should not be limited by age. 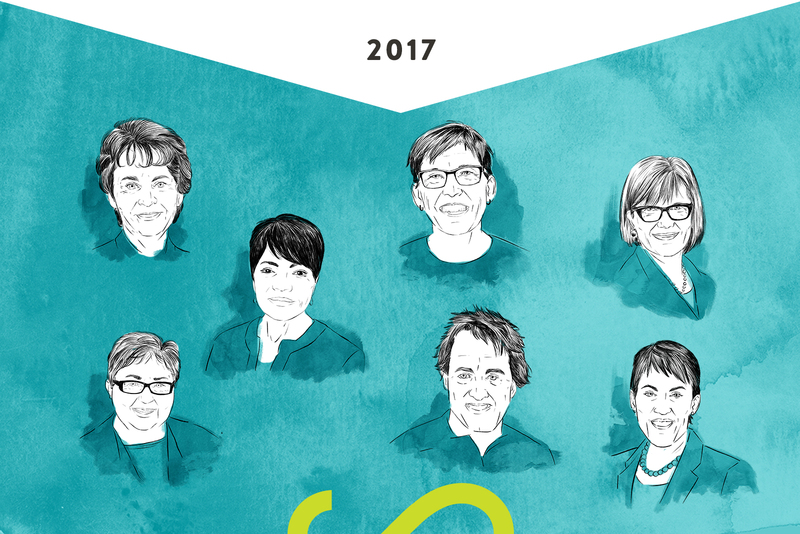 What better way to celebrate the contributions that come with age other than an annual list of fifty incredible individuals over the age of 50 from across Minnesota who are making an impact and show no signs of slowing down. 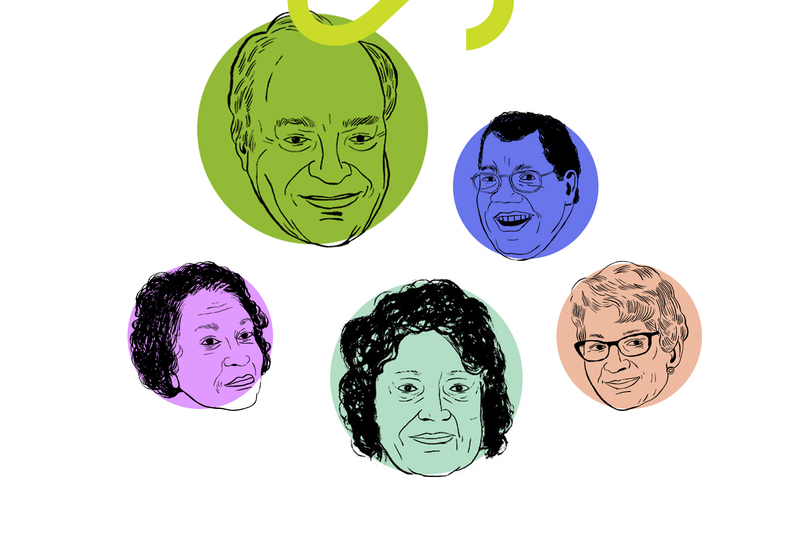 Together, AARP Minnesota and Pollen launched the 50 Over 50 List. 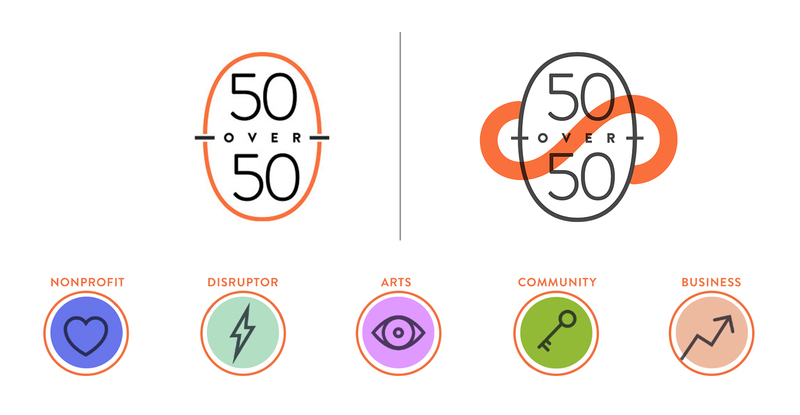 SOLUTION #1: Through fresh, vibrant design, branding, and writing, Pollen ensured every corner of the 50 Over 50 campaign would represent people reinventing what it means to age. 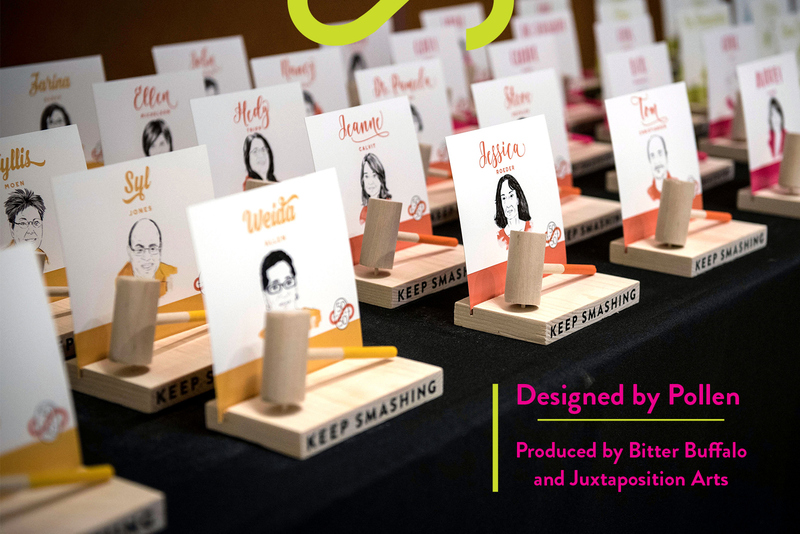 SOLUTION #2: Beyond just a list, Pollen creates story vignettes alongside hand drawn, portrait illustrations for all 50 honorees—adding texture, personality, and depth. 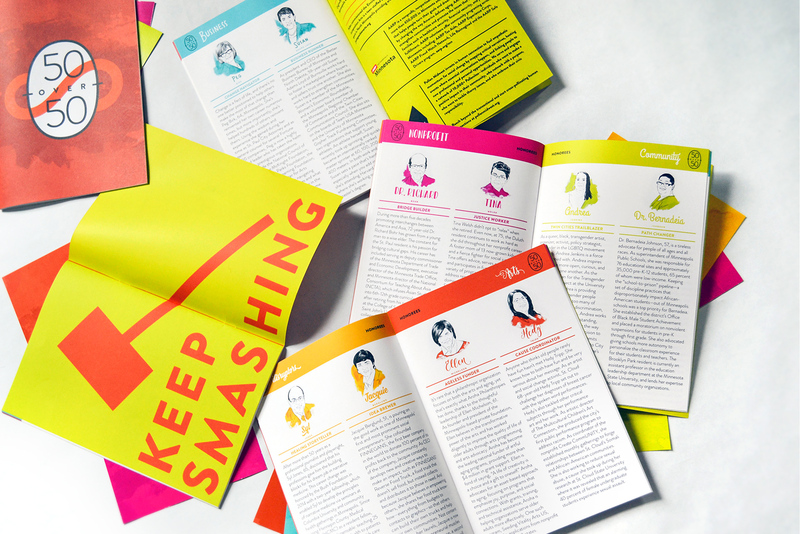 SOLUTION #3: A celebration isn’t complete without one heck of a party. 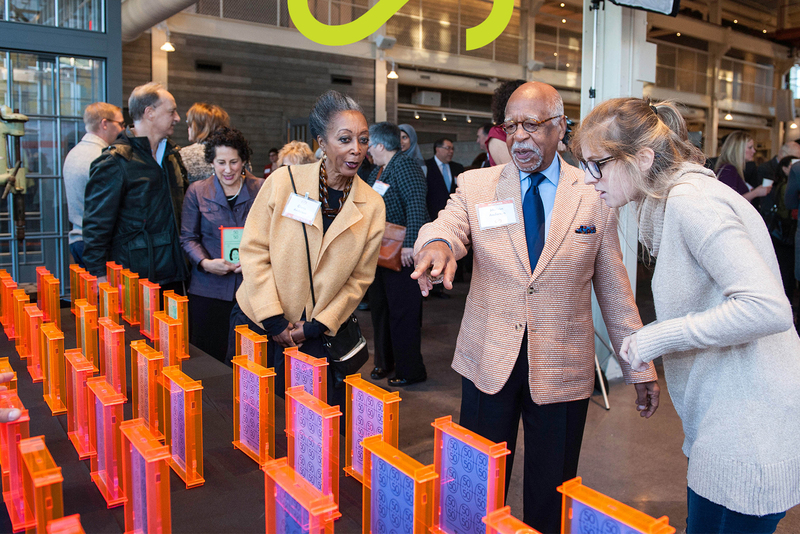 Pollen designs and executes the annual 50 Over 50 celebration, which brings together more than 350 leaders to cheer and celebrate the 50 honorees. 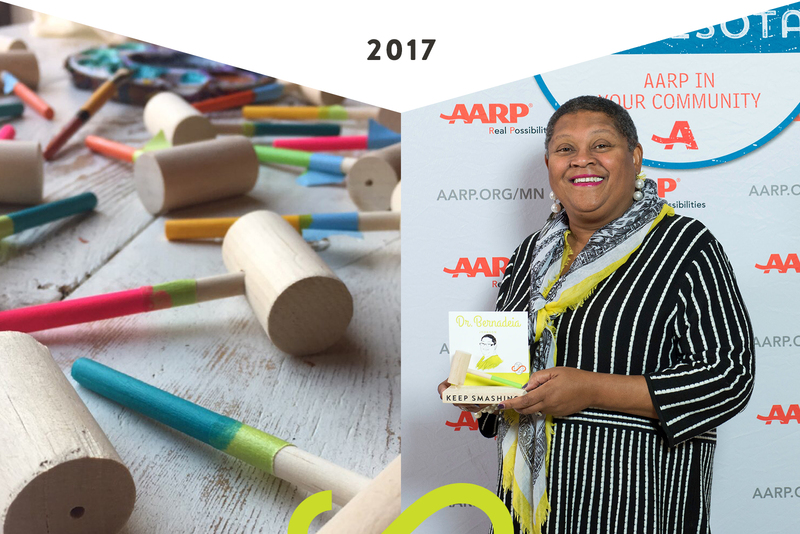 SOLUTION#4: If you’re tasked with challenging outdated beliefs about aging, then your honoree awards better innovate beyond the tired, traditional award plaque. 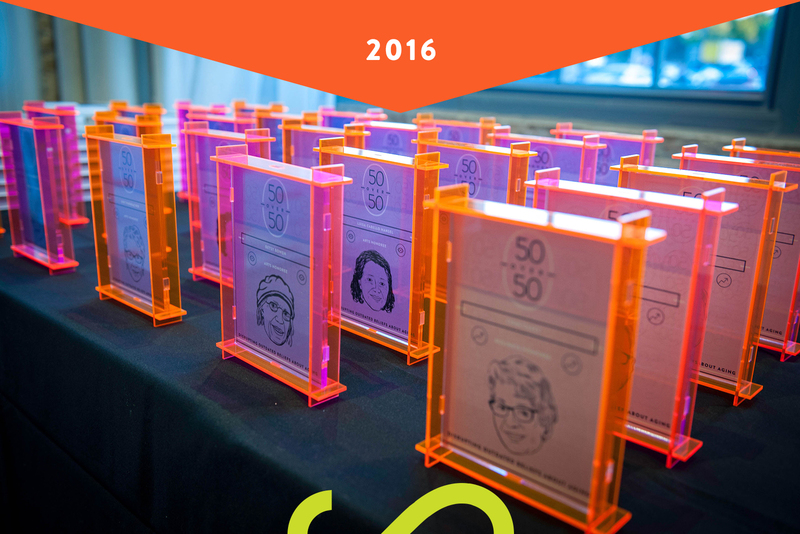 Through surprise, delight, and unexpected whimsy our 50 Over 50 awards don’t disappoint. ASK US ABOUT: How we weave story and engagement together. 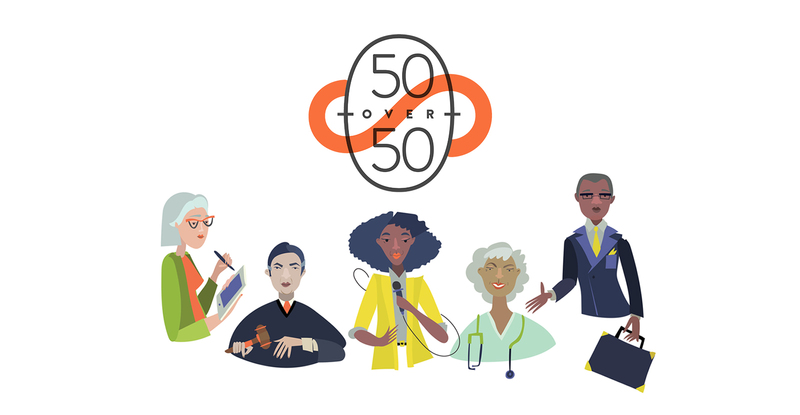 50 Over 50 brings a digital campaign into the physical world, while inviting thousands of Minnesotans to participate along the way. Pollen Studio brings a collective approach to everything we produce. 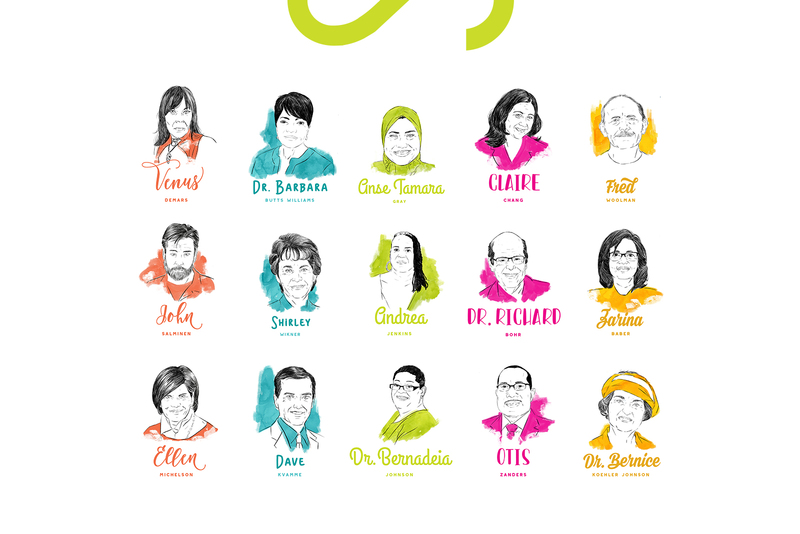 We’ve built a network of more than 130 freelancers allowing us the advantage of customizing teams based on the expertise, diverse backgrounds, and perspectives needed to produce the most equitable and trustworthy story. On this project: Creative Director and Brand Design: Meghan Murphy and Melanie Stovall; Client Relations: Jamie Millard; Project and Engagement Leads: Julie Cohen and Mónica Nadal; Event Design: Vilay Dethluxay; Event Logistics: Events by Lady K; Photography: Bruce Silcox; Illustrators: James O'Brien and Ben Currie; Writers: Bev Bachel, Carolyn Holbrook, Andrea Jenkins, and Sarah Lutman; Award Production: Jack Harrison, Juxtapostion Arts, Bitter Sweet Buffalo.